Sleep peacefully with the spacious and serene Porter Queen Panel Bed from the Porter Bedroom Collection by Ashley Furniture. A rich, dark burnished brown finish gives the bed a warm and inviting look while decorative framed details, crown molding, and turned bun feet make this piece a timeless classic. 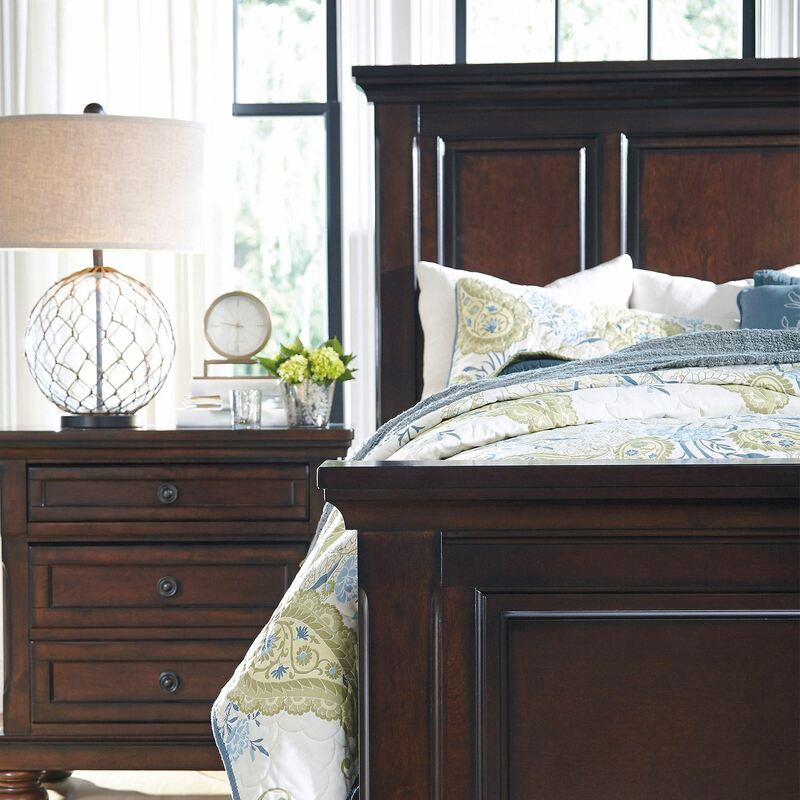 Sleep peacefully with the spacious and serene Porter Queen Panel Bed from the Porter Bedroom Collection by Ashley Furniture. 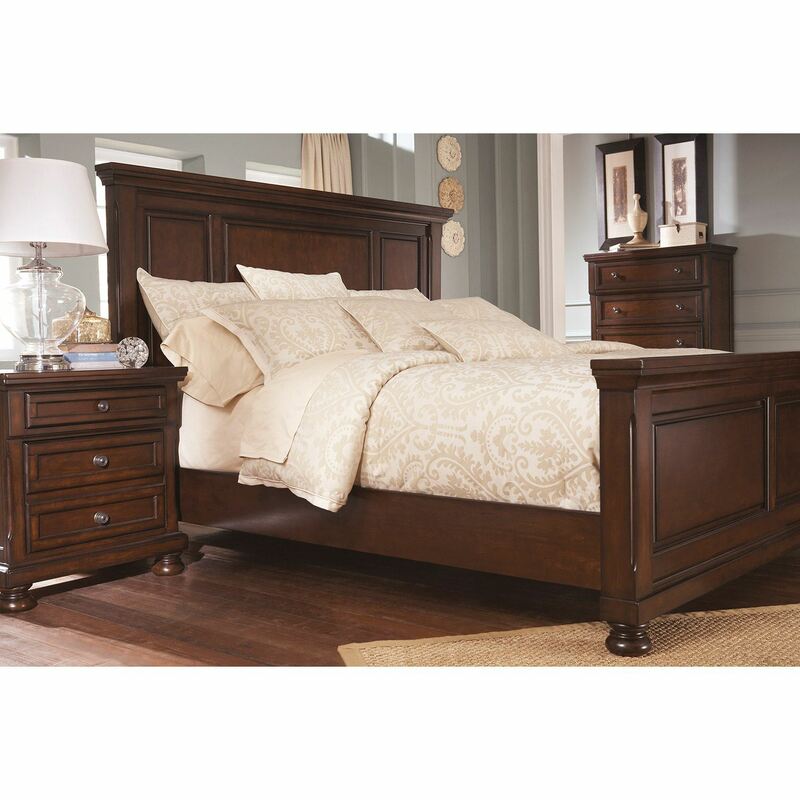 Porter Queen Panel Bed by Ashley Furniture. Bed includes headboard, footboard, rails.